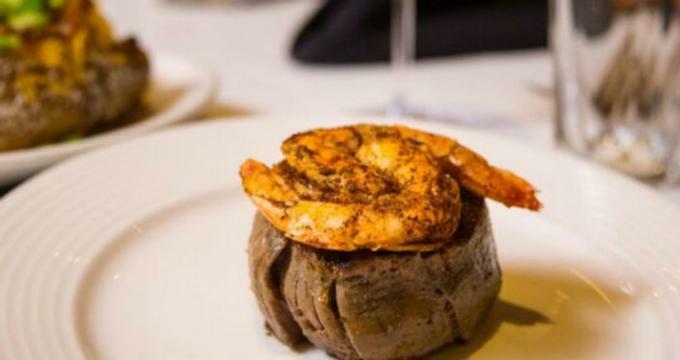 Located in the happening vicinity of Bricktown located in the heart of Oklahoma City, the restaurant is frequented for its steaks, seafood, and long list of wines. The restaurant serves dinner and drinks in a sophisticated setting that offers live music every Friday and Saturday from 7:00pm to 11:00pm. Mickey Mantle's Steakhouse is open 7 days a week, Monday through Thursday from 4:30pm to 10:00pm, Fridays and Saturdays from 4:30pm to 11:00pm, and on Sundays from 4:30pm to 9:00pm. Wine is a main event at Mickey Mantle’s, whose wine list has consistently received The Wine Spectator’s Award of Excellence. The restaurant features some of the best wineries every year by hosting an annual charity dinner for the benefit of Life Share of Oklahoma. Mickey's wine list offers an extensive number of sparkling wines, whites, rosés, reds, and dessert wines. The restaurant is most popular as Oklahoma City’s best banquet and private dining venue. From an intimate private dinner to a lavish banquet for 75, Mickey Mantle's Steakhouse offers several private dining choices. Guests get to choose from four private dining rooms that come with a variety of customizable set menus. Bookings must be made by calling the restaurant directly, and a professional banquet coordinator is assigned for a tour and full event implementation. 15 Best Vegetarian and Vegan Restaurants in Washington D.C.